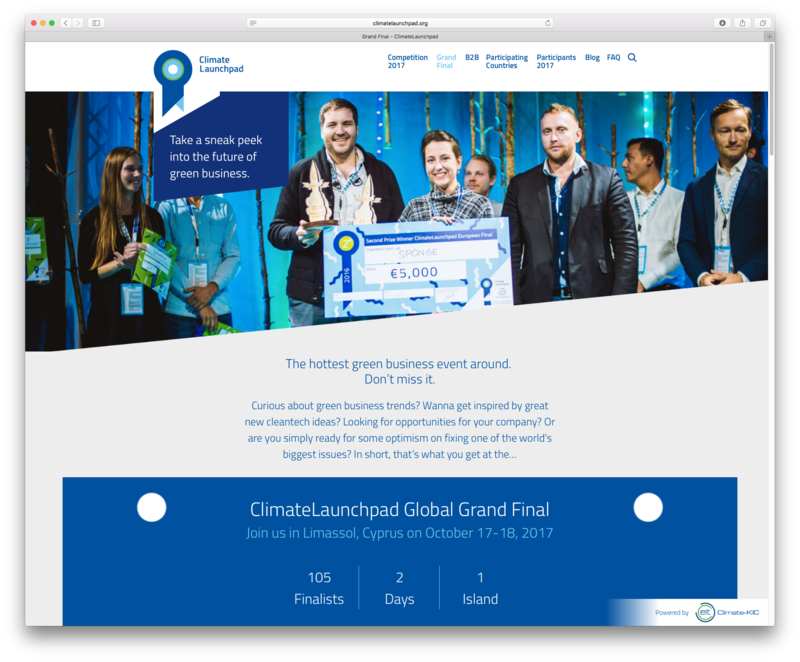 I’m the founder of ClimateLaunchpad, the green business ideas competition. The adventure started in 2014, and accidentally grew into the world’s largest green business ideas competition. In 2017 we had 35 countries joining, and a thousand teams that applied. We now have a waiting list for countries that want to join us, so I am looking for funding to build it into a global competition. And I love working with the startups, seeing entrepreneurs in all these countries trying to fix climate change makes me super optimistic about the future of the planet.